Itawamba County has a very diverse industrial base. With industrial facilities located in all parts of the county, we understand the importance of industry in the local economy. With that in mind, the Itawamba County Development Council is responsible for the recruitment of new industries and businesses in Itawamba County, Mississippi – and we take that job seriously. Our primary goals also includes the retention and expansion of existing industrial and retail businesses, and we are persistently working to create new quality jobs for the citizens of our county. 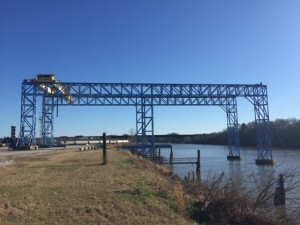 Working with such regional and state agencies as the Mississippi Development Authority, the Tennessee Tombigbee Waterway Development Authority and theTennessee Valley Authority, we actively market available excellent county industrial and business sites to potential companies. Itawamba County has an exceptional labor force and a quality of life that is second to none in the region. With excellent educational facilities, including a local community college, we can offer a skilled labor force. With the Port of Itawamba, opportunities are endless to satisfy any logistical needs your business requires. For more information on the Port Itawamba, contact Bryan Hunt-Seacor at 662-592-1866 or Casey Franks-Three Rivers at 662-412-9266. We are always marketing the benefits of doing business with Itawamba County, Mississippi. To become a productive partner with Itawamba County, Mississippi, simply contact us.